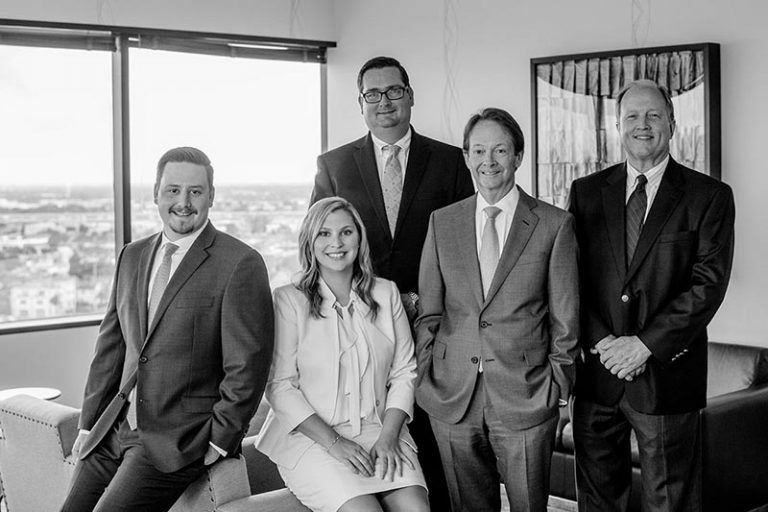 Horizon Wealth Advisors is a Houston-based, privately owned, fee-only financial advisor established in 1999. Our partner CPA firm Maddox, Thomson & Associates, P.C. has served Houston’s high net worth since 1985. Our mission at Horizon Wealth Advisors is to develop long-term relationships with thoughtful, successful individuals, families, and organizations by supporting and assisting them in achieving their financial goals. Becoming a Horizon Wealth Advisors client begins with a series of meetings and a great deal of behind-the-scenes work by our team to gain a deep understanding of a client’s unique family and financial circumstances. We follow an organized process for all new and existing clients. Our first goal is to understand you, your family, and your overall financial circumstances. We start by gathering and analyzing all the relevant financial data and planning documents. We then dedicate time to understand your goals for the present and for the future. Once we have thoroughly assessed your financial matters and personal objectives, we organize everything in a manner that provides for clear and understandable recommendations. We do this by preparing a comprehensive study of your current financial situation and then creating a forecast to determine the likelihood of achieving your goals. We then work with you to develop an implementation strategy. Once we have agreed on a strategy, we manage the process for you. We execute our investment strategy and carefully tend to the needs of your portfolio. We continuously monitor your plan and update it to ensure you are staying on course. Circumstances change, and financial plans must be flexible to accommodate the inevitable twists and turns in life. We will work with you throughout the changes and make sure you continue to progress towards your goals. We work with successful professionals who are accumulating their wealth, as well as retirees who seek to maintain their current lifestyles and preserve their wealth. We believe that financial decisions are best made in the context of a thoughtfully considered plan. The foundation of our wealth management process is to understand, organize, and manage our clients’ wealth for the long-term. As a full-service wealth management firm, we offer the following services as part of our comprehensive and collaborative wealth management process. This analysis provides the proper understanding for developing an appropriate strategy for the future. We can help you identify your unique goals and objectives, financial and otherwise, and design a customized strategy to help you reach those goals. Once your strategy is implemented, we continually monitor your portfolio to make sure it is appropriately positioned to progress toward your long‐term goals. In its simplest form, estate planning requires wills, necessary medical powers, and powers of attorney. From there, depending on your objectives, it can include various types of sophisticated gifting strategies involving trusts and other entities. We review your current estate plan and work with you to make sure that plan properly expresses your wishes. In the event that changes are desired, we work closely with you and your attorney to craft a plan to achieve your objectives. Our involvement in this process simplifies estate planning for you and allows us a greater understanding of your plans so that we can advise you as laws change or your circumstances change in the future. For most people, planning for retirement is an important goal and an integral piece of their comprehensive plans. Often times, questions about retirement planning – whether and when to retire – are the sparks to move someone to seek advice and develop a plan. We bring together our knowledge of various types of retirement plans (401(k)s, IRAs, etc. ), social security benefits and our comprehensive analysis of your overall financial situation to develop a strategy to help you achieve a comfortable and worry-free retirement. The education of children and/or grandchildren is often a very important goal for our clients. Especially for young families, the rising cost of education makes paying for this a challenge. With education planning, we conduct an analysis to project the expected costs of education from primary school through higher education. Within the context of your financial plan and circumstances, we help you develop a strategy to effectively prepare for these costs. Finally, we help you select the most effective savings vehicle which may include a 529 college savings plan, a trust for your child, or a Uniform Transfer to Minors Act (UTMA) account. We use an array of investments to build a diversified and tailored portfolio that is designed to complement your unique circumstances, goals, and objectives. We utilize a disciplined due diligence process that helps us select and monitor our recommended investments. We review your portfolio on a regular basis and make changes as necessary to keep it diversified and properly positioned. Our goal is to maximize your after-tax returns. In addition to our standard investment process, Horizon focuses on tax minimization strategies when constructing and managing your portfolio. We will also coordinate directly with your tax preparer to provide information for annual filings and quarterly estimated tax payments. We can also accommodate your unique tax situations, which may benefit from a tax-coordinated solution. In order to provide safety and transparency, your portfolio will be held at either Charles Schwab or Fidelity Investments. Federal and local income tax payments have a significant impact on your ability to save and invest for the future. Our review and recommendations encompass many aspects of income taxes and ensure that you are taking advantage of available tax benefits and avoiding any unnecessary costs. We work closely with our partner CPA firm, Maddox, Thomson & Associates or your personal CPA, to help simplify and streamline your involvement in the tax preparation process. For our clients who are also clients of Maddox, Thomson & Associates, we coordinate in the delivery of tax services, including the preparation of your annual returns and the calculation of quarterly estimated tax payments. It is important to understand your charitable goals in the context of your overall financial plan. Sophisticated techniques can be used to satisfy charitable and other estate planning goals. Whether you want to simply write a check to your favorite charity or make a recurring gift to another entity, we will work closely with you, your estate planning attorney, and charitable planning specialists to ensure you have the best solutions in your plans. When an individual is appointed as the independent executor under a will or as the trustee of a trust, the administrative and management responsibilities can be overwhelming. We can assist with investment administration and management, setting up the proper accounts and helping to move financial and other assets into the proper hands. We can also gather information and coordinate the preparation of any required tax filings, either income or estate tax related. We can help family members understand the provisions in the planning documents and how best to proceed in managing them for the future. We work in concert with the appointed executors or trustees and estate and probate attorneys to make sure that the probate process works as smoothly as possible. Larry Maddox, Joe Thomson, and Owen Murray are the principals of Horizon Wealth Advisors and have many years of experience serving clients together. 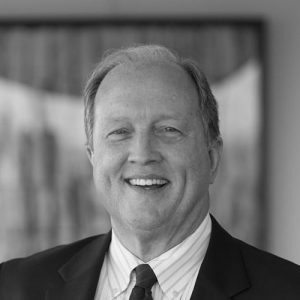 As Partner and President of Horizon Wealth Advisors, Larry works with clients in all facets of the wealth management process. He collaborates with our wealth management team and other external advisors to provide comprehensive wealth management services. Joe co-founded Horizon Wealth Advisors in 1999 in Houston, TX with his business partner, Larry Maddox. 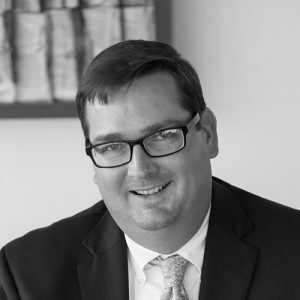 Joe’s primary focus at both Maddox, Thomson & Associates and Horizon Wealth Advisors is client relationships, consulting, and income and estate tax planning. 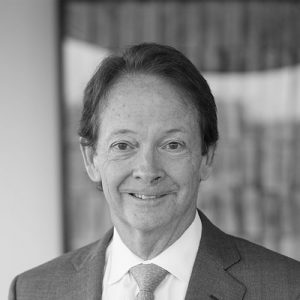 As Partner and Director of Investments, Owen is principally involved in investment research and portfolio construction. Owen spends much of his time analyzing and managing Horizon Wealth Advisors’ clients’ investment portfolios and often participates in client meetings. Do you provide "hourly" financial planning? We are a fee-only advisor but we do not prepare plans on an hourly or one-time basis. We are interested in creating a long-term relationship with our clients. Our best advice comes from having a deep understanding of our clients’ financial information and an ongoing relationship. In a word, “Yes.” We are registered with the SEC as a Registered Investment Advisor. In this capacity, we are held to a fiduciary standard and are bound to putting our clients’ interests first at all times. In addition to investment management and financial planning, we provide counsel and assistance with income tax planning, estate planning, insurance planning, education planning and other requested services. Click here to view our services. We have a range of clients. Many have already accumulated wealth and many are just getting started. The common characteristic is that they are committed to planning their futures and they are serious about saving and reaching their goals. They also choose to have a long-term relationship with an advisor who can help them along the way. We follow an institutional investment management approach. We are long-term investors, so our portfolios of mutual funds and ETFs are built with the future in mind. Once we have determined an appropriate investment policy, specific to each of our clients, we stick to the policy, with regular rebalancing to stay within our mutually agreed risk tolerance. How often are you in contact with your clients? After our initial planning, we like to meet with our clients at least once a year. However we are available to meet whenever a client needs. Our perspective about what’s trending in the news. Sign up for our electronic newsletter and other updates.